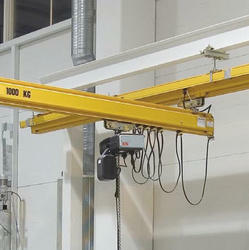 Our expert team allows us to manufacture, supply, trade and export leading products of Light Cranes around the world. We use modern technologies and machineries for manufacturing all our cranes. All this cranes are equipped with rigid body, light load lifting capacity and portability. These are broadly applicable in small workshops and machine shops. All our products are sold at reasonable rate. The product under this category is Light Crane. 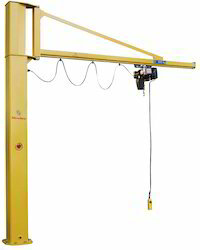 The Jib Crane made by silverline offer complete range of solution for the handling of loads up to 2.000kgs. Totally sheet metal fabricated design light body weight based on in-depth knowledge of sheet metal fabrication \ painted to with stand severe weather conditions. Silverline has more than 25 years of experience in metal fabrication and design. We also manufacture light cranes which are technically innovative and offer excellent value for money. The components used are of the highest quality, which is long-lasting and economical built by silverline, the leading indian company. Profiles Can Be Bolted In Position And No Welding Is Required On Site. Can Supplied High Quality Antirust Painting Can Be Supplied In Galvanized Steel, Push Pull Type Movement For Cross And Long Travel Same Profile Can Be Installed As Monorail Or Jib Crane, Small Turning Radius Makes It Possible To Cover Maximum Area For Monorail Designs. 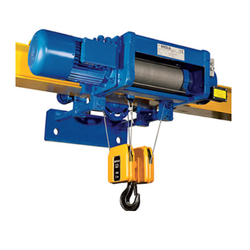 We are suppliers, exporters, and manufacturers of Monorail Hoist worldwide.These products are made up of high-quality steel materials. we have featured reliable safe mark and gorgeous design, single rails with larger capacity. 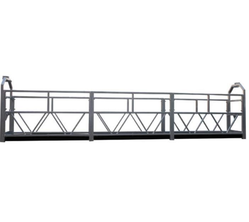 Our products cover the full range of BMUs including Telescopic Machines, Fixed Jib Machines, Roof Trolleys, Monorails, Suspended Platform, Davits, Cradles and other related items. MALT Group (Malt Technics L.L.C. since 1992 and MALT Industries since 1998) is one of the leading entities specialized in the Design, Manufacture, Marketing, Sales, Installation and Maintenance of BMUs – Building Maintenance Units and Access Equipment. MALT Group has executed many prestigious projects mainly in U.A.E. and also in other countries (Bahrain, Qatar, Saudi Arabia, Iraq, Iran, Erbil, Lebanon, Afghanistan, Philippines, Malaysia, Germany, Spain, Norway, Czech Republic, UK and Nigeria). Whether your building is 5 or 50 stories high, Silverline Metal Engineering Pvt Ltd, is the total solution provider for all your work at height needs. Backed by our hardworking experts, we are offering Light Profile Track to the clients. Track for Light Profile is high in performance and widely acknowledged among clients due to supreme quality. Offered range is manufactured under the stern supervision of professionals using cutting-edge technology with high grade material. This product is manufactured by professionals widely applauded in the market due to dimensional accuracy and smooth finish. Offered range is made amid in various dimensions, patterns, and specifications. This product is stringently checked by the quality auditors on well defined parameters.